Modern societies and organizations have to face everyday decision and optimization problems which are becoming even harder in the era of Big Data. Indeed, the availability of large amount of information is leading toward the definition of new and complex decision problems, where additional requirements, features and uncertainty on data, have to be taken into account. The constant increase in computational resources power plays a fundamental role in tackling these problems, but it could not be sufficient without the usage and the development of new efficient and effective solving approaches and decision support tools. In this context, optimization methods, data science and simulation represent key factors in tackling the arising computational challenges. This special issue is addressed to scientists and experts from academia and industry, and its goal is to present high-quality research papers and reviews on methodological and theoretical advances in exact and heuristic optimization methods for solving complex decision problems, as well as to draw the attention to the solution of new practical problems and emerging applications in different sectors. Its final aim is presenting ideas and experiences, sharing knowledge and creating a point of contact among researchers and practitioners working in this field with different perspectives and skills. We encouraged the submission of papers from the entire Operations Research, Computer Science and quantitative methods communities, and in particular from the participants to the International Conference ODS2017 on Optimization and Decision Science, held in Sorrento, Italy, on September 4–7, 2017. Hence, some contributions are extended versions of the works presented at the conference. After several rounds of peer review, 14 papers were selected for publication out of 25 submissions. 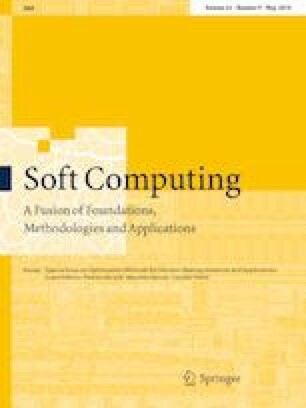 Given the interdisciplinary characterization of the special issue, the accepted papers cover a wide range of optimization methodologies and application contexts, among the others: continuous, integer and global optimization; linear and nonlinear programming; network optimization; multi-criteria decision making; data science and optimization; logistics and supply chain management; infrastructure systems operations optimization. A brief overview of the papers is reported in the following, discussing them in alphabetical order with respect to the first author. In the paper The risk-averse traveling repairman problem with profits, Beraldi et al. (2018) study a stochastic variant of the traveling repairman problem with profits in which travel times are random (Beraldi and Bruni 2010). A risk-averse perspective is considered in the problem, which is reformulated as a nonlinear integer model and heuristically solved by means of a beam search heuristic approach. The computational experiments, carried out on instances adapted from the available deterministic data sets, show the effectiveness of the solution approach. The paper A decision support system to improve performances of airport check-in services by Bruno et al. (2018) presents a decision support tool, based on a mathematical modeling, for the improvement of the security check operations in the airport. The proposed model integrates also staff scheduling decisions, generally neglected in check-in management literature (Bruno et al. 2014), by considering an objective function which represents a measure of personnel costs associated with the service delivery. The proposed approach is tested on real-world cases, so providing effective check-in policies that can be practically used. The main contribution of the paper Global optimization in machine learning: the design of a predictive analytics application, by Candelieri and Archetti (2018) is the design, implementation and validation of a sequential model-based optimization framework for addressing the automatic configuration of a complex ML pipeline. The aim is to perform accurate time-series forecasting based on two consecutive phases: time-series clustering and artificial neural network (Candelieri et al. 2017). The computational results carried out on a benchmark and a real-world dataset have proved the efficacy of the proposed approach. The paper A pay-how-you-drive car insurance approach through cluster analysis by Carfora et al. (2018) presents a method to identify the driver behavior exploring the usage of unsupervised machine learning techniques. The pay-how-you-drive paradigm arises in the context of the car insurance companies in order to gain advantages both for insurance companies and for drivers (Desyllas and Sako 2013). In the paper, the authors propose a risk assessment formula to discriminate between aggressive and not aggressive drivers. They evaluate the effectiveness of the proposed solution by testing it on real-world case studies. The paper A configurational approach based on geographic information systems to support decision-making process in real estate domain by Di Pinto and Rinaldi (2018) is framed in the context of real estate values distribution in the study of urban phenomena (Rinaldi 2009). The authors propose a quantitative GIS-based method to prove the existence of a strong correlation between the configurational concept of multi-scalar centrality (Cataldo et al. 2015), the configurational indexes of the lines of an urban system and the values of the real estate market. The proposed approach is validated on a real-like test case in the area of Naples. The paper Checking weak optimality and strong boundedness in interval linear programming, by Garajov and Hladk (2018), proposes a study on the computational complexity of two decision problems related to interval linear programming: weak optimality and strong boundedness (Hladk 2013). The authors prove that checking weak optimality is NP-hard for all types of programs, even if the variables are restricted to a single orthant. The problem of checking strong boundedness is co-NP-hard for inequality-constrained programs with free variables, while restricting the variables to a single orthant leads to a polynomially solvable problem. The paper Multi-objective stable matching and distributional constraints by Gharote et al. (2018) proposes linear programming-based heuristic approaches to solving two-sided matching problems that are multi-objective, under various constraints. Given a jobs assignment application scenario, the aim is to take into account social welfare and fairness of the obtained solutions. Via simulations, the authors show the success of the algorithms they propose compared to alternative approaches. Marzi et al. (2018) in the Computational study of separation algorithms for clique inequalities describe a new heuristic for the separation of clique inequalities for the stable set polytope. Clique inequalities can be exploited to solve all integer programming problems which admit a set-packing reformulation or relaxation. Such an approach has been applied to many problems from different application contexts ranging from the air traffic management (Avella et al. 2017) to the ground holding problem in congested networks (Rossi and Smriglio 2001). The algorithm proposed in the paper is compared with two well-known exact and heuristic procedures in an extensive computational study, which shows that the proposed heuristic is competitive both in effectiveness and in speed. The paper MIP-based heuristic approaches for the capacitated edge activation problem: the effect of non-compactness (Mattia 2018) addresses the capacitated edge activation problem in which one has to select a minimum cost set of edges in an undirected graph so as to ensure that a given set of traffic demands can be routed. Two versions of the problem, associated with the cases in which flows can/cannot be split, are considered, and the effect of using non-compact formulations is studied. The paper gives a computational analysis on the performances of the heuristic algorithms on a set of randomly generated problems. Masone et al. (2018a), in The minimum routing cost tree problem, tackle the problem of determining the minimum routing cost tree, i.e., the tree minimizing the minimum travel/communication cost (Fischetti et al. 2002; Campos and Ricardo 2008). This problem finds interesting application in both the communication and transportation networks. First, the authors provide the problem state of the art, and then, they present a new original heuristic based on the core-node concept. The proposed approach is validated on a wide set of instances with up to one thousand nodes, so proving its effectiveness and competitiveness with other methods present in the literature. In the paper Sustainability-based review of urban freight models, by Nenni et al. (2018), a review of models and decision support systems for urban freight transport (UFT) is presented. The distinguishing aspect of this review is the focus on the sustainability issue (Allen et al. 2010; Awasthi et al. 2011; Ranieri et al. 2018). Contributions are classified both with respect to the sustainability dimensions (economical, environmental and societal) and with respect to classical network optimization problems (location, routing, network design, fleet management) (Boccia et al. 2018). Hence, this work highlights literature gaps, presents potential developments of quantitative approaches and outline future research opportunities. In the paper Sparse analytic hierarchy process - an experimental analysis, Oliva et al. (2018) propose a novel approach to aggregate sparse data coming from different sources of information. The method extends the standard weighted geometric mean approach to the sparse setting (Oliva et al. 2017). An experimental analysis is carried out by comparing four different methodologies to rank a set of alternatives based on sparse information on relative preferences, provided by human decision makers. The results suggest that aggregating different sources of sparse information would be the key to improve the quality of information. The paper Scheduling ships movements within a canal harbor by Pellegrini et al. (2018) proposes a model for the ship scheduling problem tailored on the peculiar situation of the port of Venice, where ships are constrained to reach their berths through narrow canals (Canestrelli et al. 2017). The authors present an efficient heuristic approach and compare its performance with the exact solution of the problem by considering a real case study. Vasilyev et al. (2018) in the paper An effective heuristic for large-scale fault-tolerant k-median problem address a reliable facility location problem under disruptions. More precisely, unlike classical facility location problems, in the fault-tolerant version of the k-median problem, a multiple level assignment has to be determined for each non-median node. The authors propose a fast and effective heuristic which iteratively improves lower and upper bounds, exploiting the scheme proposed in Masone et al. (2018b, c). The proposed algorithm is able to find near optimal solutions in a limited computation time for very large size instances, with up to 24,978 vertices. As guest editors of this special issue we thank all the authors for their contributions. Moreover, we express our sincere gratitude to the 50 reviewers from around the world, who spent their valuable time for the review process, so contributing to the overall quality of this collection. Finally, we also thank the Editor-in-Chief, the associate editors and Springer’s Soft Computing journal team for giving us this opportunity and for supporting us in the publication process. We are sure that this selection of research papers can contribute to the scientific advancements in the involved research communities.